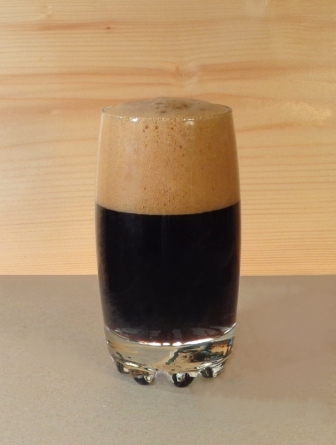 Here’s a drink named after a Grateful Dead concert that never was. No wait! Hear me out. 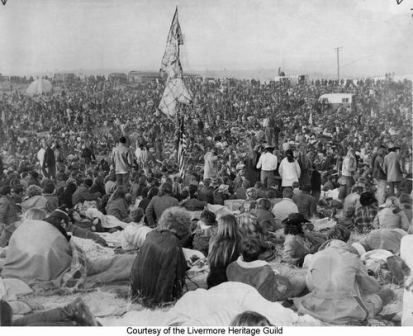 Altamont Speedway was the site of the death of the 60s hippie era. 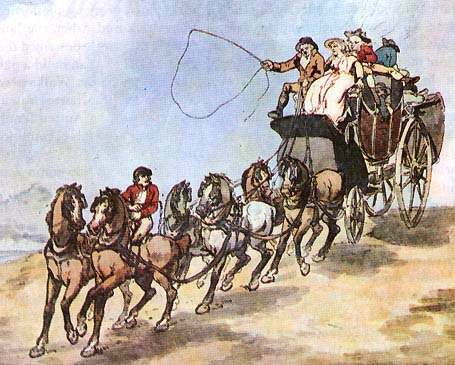 The Grateful Dead, scheduled to play, got the hell out when things got way out of hand. Speedwell (Veronica officinalis) is an herb that is sometimes considered a weed. Deadheads like herb and weed, right? Speedwell—Speedway, close enough for a Deadhead no doubt. Speedwell is slightly bitter and astringent, with a taste a bit like green tea. Its medicinal use includes relief for coughs, and the plant is rich with vitamins, tannin, and anti-inflammatory compounds. Skullcap, or Mad-dog Weed (Scutellaria lateriflora) is a perennial mint, purported by early North American settlers to cure rabies, hence its common name. Skullcap’s current use, however, is in the promotion of a sense of well-being, a property any Deadhead can relate to. 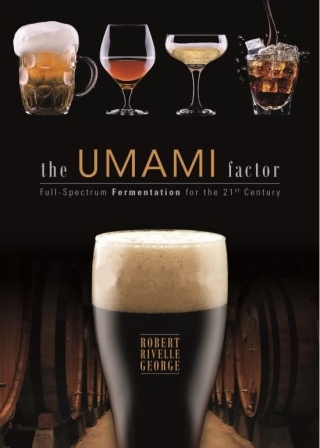 The active ingredient is the flavone scutellarin, a phenolic compound. The name skullcap refers to the shape of its flowers, which resemble early military head gear. 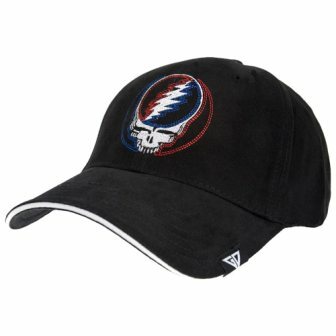 Speaking of head gear, here’s a Grateful Dead skull cap. Schisandra chinensis (五味子 in Chinese, wǔ wèi zi, literally “five-flavor berry”) is so named because it is simultaneously sweet, sour, salty, bitter, and spicy. A traditional Chinese medicine, it calms the spirit by balancing yin and yang. 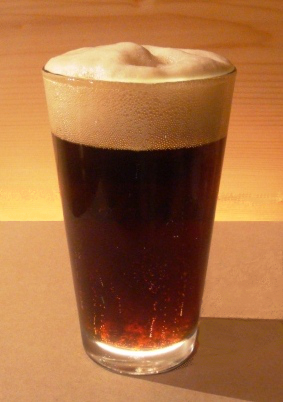 Western pharmacological studies have shown that it is effective in treating “heavy metal intoxication,” so—‘nuff said. Grapefruit-like pomelo juice and zest, the main ingredients for the now-defunct liqueur Forbidden Fruit, along with Montmorency cherry extract, angelica and orris roots round out the ensemble. Drink up lovers! 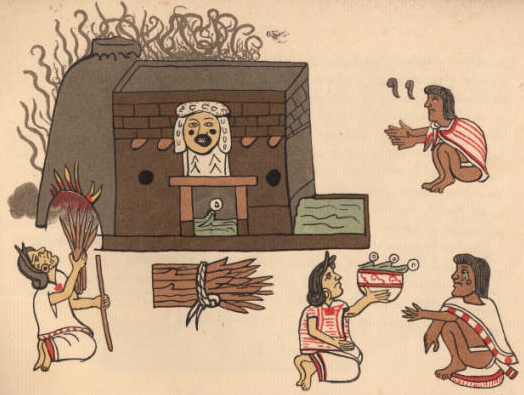 The tamazcal (Nahuatl for “house of heat,” or possibly Aztec for “bath house”) is a sauna-like structure invented by the pre-Columbian inhabitants of Central Mexico, and the region south to present-day Costa Rica. These structures are still in use, performing a similar function as that of a sweat lodge or steam room. 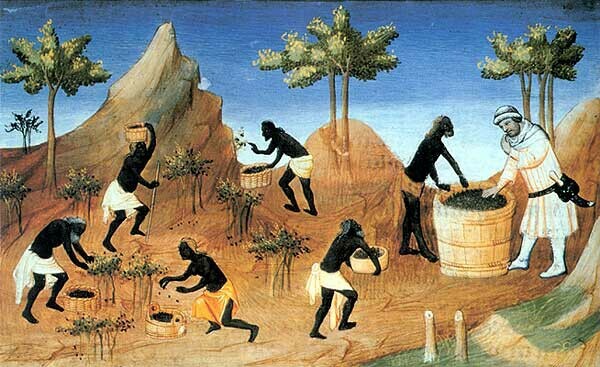 Starting around 7000 BCE, complex agrarian cultures began to form in this region, along with the creation of sedentary agricultural villages, and ceremonial centers. Purification rituals were among the curative ceremonies performed by these indigenous people, designed to rejuvenate the body after battle or a ball game. The way in which these therapies cleanse the body is believed to involve “heat shock proteins” (HSPs) that are created in response to environmental stresses, in this case the high temperature and humid environment of the tamazcal. HSPs are involved in binding antigens and presenting them to the body’s immune system. They also provide an essential role in the formation of other proteins, and in the body’s cellular repair system. Along with the heat therapy provided by the tamazcal, many practitioners suggest imbibing in another source of HSPs: Opotunia-Ficus-Indica, or prickly pear cactus. The fruit is high in antioxidants, particularly betalains (betanin and indicaxanthin), two molecules that give the juice its nearly fluorescent red color. 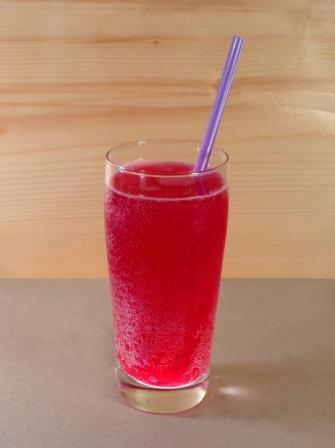 With a flavor reminiscent of watermelon, the juice is rich in Vitamin C, and is one of the first cures for scurvy! The plant also contains at least five other antioxidant flavinoids. The pulp of the fruit contains the carbohydrates glucose, fructose and starch, proteins, and fibers rich in pectin. Eleuthero root (Eleutherococcus senticocus)is a medicinal plant native to northeast Asia. It is often referred to as Siberian Ginseng, as it is widespread in North Korea and throughout Northeastern Russia. It is not the same as Panax ginseng, the more common Chinese herbal medicine. Eleuthero is considered an anti-oxidant “adaptogen” that reduces the impact of stress, while stimulating the central nervous system. These three ingredients combine in Tamazcal Opotunia with citrus juice and zest to create a potent tonic, cleansing indeed but also a refreshingly cool end to a steamy session in a tamazcal, a hammam, or just a hot August night. The Kalalau Trail winds its way along eighteen kilometers (eleven miles) of the spectacular Nā Pali Coast of the Hawaiʻian island of Kauai. This is one of the most strenuous back packing trips you will ever take. Having said that, it’s quite possible that you will encounter someone along the way hiking stark naked and wearing flip-flops. Odds are good that they will be from Quebec, especially if it’s January. Switch-backing across deep ravines, the trail is a centimeter of mud on top of solid volcanic rock for the first six miles. Camp beneath wild coffee trees half way and struggle to keep your damp firewood lit. Then things dry out as you enter the more arid region to the south. Under such conditions, trail side camaraderie builds as you repeatedly encounter fellow hikers resting along the way. Finally arriving at Kalalau Beach is an adventure in Paradise. 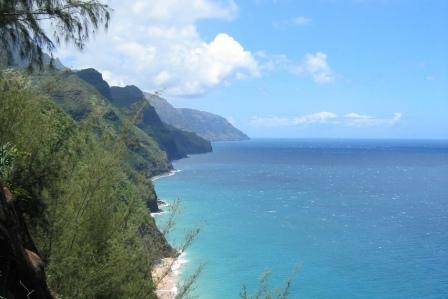 The trail to Kalalau Beach is one of the world’s most strenuous. 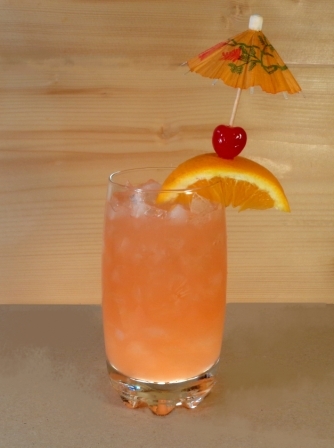 The recipe for Kalalau Punch was created on such a trek. Kalalau Valley is home to numerous fruit trees, including mango, papaya, avocado and orange. Passion fruit grows in abundance. If your new friends invite you over to their camp for cocktails one evening, grab several oranges, a few passion fruit, some Hawaiian Punch crystals from your stash, that flask of Whaler’s Dark Rum you packed in, and head on over. Perhaps your new pals will have a bit of Pakalolo to share, as the sun sets over the water at 7 PM, the way it does every day of the year. 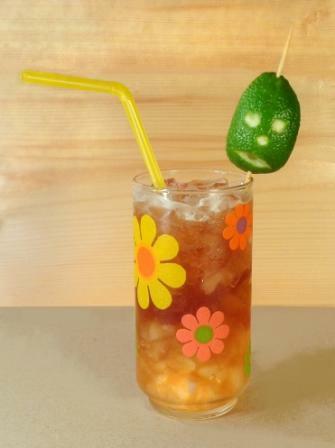 The effort to obtain it makes Kalalau Punch the ultimate tiki drink. Fortunately, the wide availability of wonderful juice blends mean that you need not risk life and limb to enjoy it. Mahalo and aloha!